Grambling State University faces Northwestern State University in GSU’s first home football game of the season, and alumni, students and fans are excited. There will be an official ribbon cutting at the Eddie G. Robinson Memorial Stadium, taking note of more than $2 million in stadium upgrades. There are big plans for the pre-game and half-time shows. GSU fans will see a lot of changes, including a top-quality football field turf, installed by Hellas Construction of Austin, Texas, the same company that installed turf in the Dallas Cowboys home stadium. 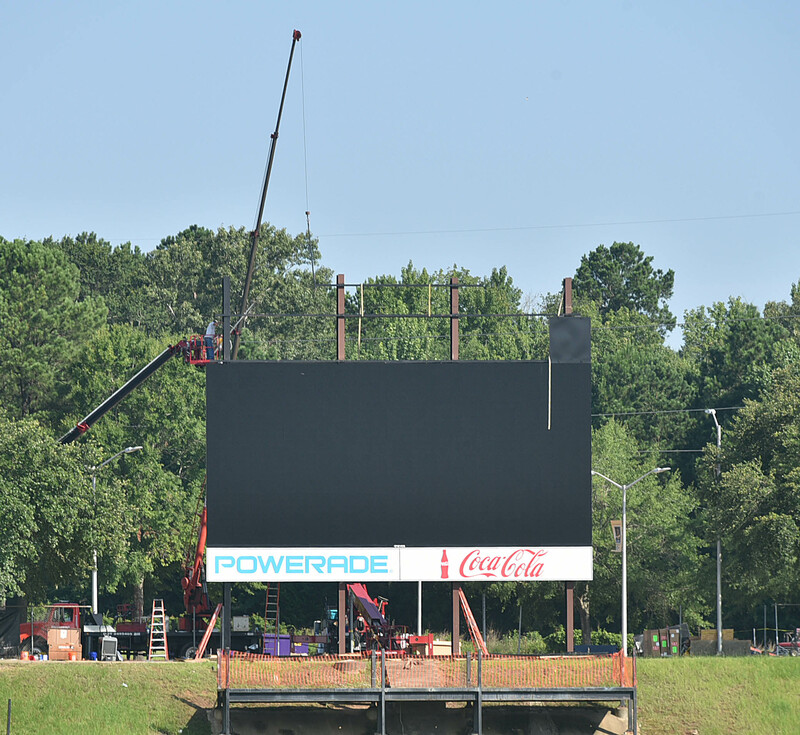 There’s a new, 47.18’ x 22.5’ digital scoreboard that will show some live game action, key replays, in-game promotions and sponsorship spots. 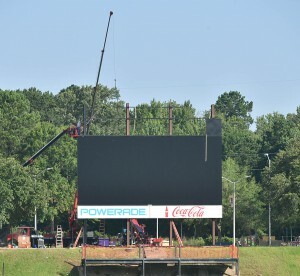 Installed by NEVCO of Greenville, Illinois, the board will be an important part of enhancing the fan game day experience. In addition, fans will see four-foot-high brick retaining walls covered with padding to make the end zones safe for players, expanded game day parking an increased security presence. The new field was completed in August and this will be the first time the G-Men will play on it. Bryant said there will be a kids zone available for two hours before the game. Pre-game activities will start about 5:40 p.m. with a ribbon cutting and a performance by the World Famed Tiger Marching Band, including the playing of the national anthem. Fans will be in for a special treat as a U.S. Air Force flyover takes place before three World War II veterans give the game ball to the game officials and a Wounded Warrior Project representative serves as an honorary captain for the coin flip. The game against the NCAA Division I Northwestern Demons will start at 6 p.m.
Korean War veterans will be recognized, and each of the five branches of the armed forces – Army, Coast Guard, Marines, Air Force and Navy — will be recognized during game time outs. These include Army, Coast Guard, Marines, Air Force, and Navy. At halftime, the Spirit of Northwestern marching band will perform and then the World Famed will play. There will be a special tribute to the recently deceased Lamore J. Carter, a former Grambling State provost and vice president responsible for many of modern-day GSU academic strengths, during half time. Gallot said he’s excited about the first home game with so many big improvements, and he’s looking forward to giving his wife, First Lady Christy Gallot, a big kiss on the kiss cam. Fans can follow game updates at @GSU_Tigers (Twitter) or visit the official home of Grambling State Athletics at gsutigers.com, and check the @GramblingStateUniversity Facebook page for game-related updates. This entry was posted in Uncategorized on September 9, 2017 by admin.